Before joining the program, I had been working full-time as a coach for about 8 months. I have more energy and determination than most people I know, and I was struggling to find a peer group that matched that level of intensity. Many coaches I was friends with had other full-time jobs. We were able to share knowledge about coaching, but not about how to make a sustainable business around coaching. My only hesitation in joining was that I hadn't participated in something like this before. I've invested in professional development opportunities before, but not an online class created by an individual outside of an academic institution. I entered Coaching Business Bootcamp desiring to absorb every last bit of information, and my concerns were quickly laid to rest. With Greg as my coach and the other students in the program, I felt like I had finally found that community of intense people dedicated to building a career from coaching. I also feel ready to begin the next stage of my growth. 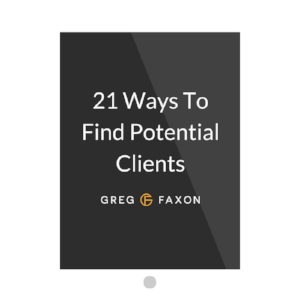 Greg is an excellent teacher and also a great encourager of his clients. I also loved the fact that he is slightly ahead of me on the path and can shine a light on where he's been. I've been looking for someone like that for a while (years). I now feel more and more confident than I can grow a solid business around my passion for (and joy with) coaching. I more than doubled my rates from $250 to about $550 per month. I also improved my enrollment skills tremendously. Before Bootcamp, I had given maybe 50 free coaching sessions. We had fun. We had insights. But I wasn't starting as many professional relationships as I had heard was normal. However, using the enrollment method taught in the program, I measurably increased conversion rate, even with my new higher prices. Bootcamp also helped me hone my niche, which is huge. This has given me so much more focus, confidence, and energy. It has also allowed me to say "no" when decent opportunities come along but they aren't my focus. This, in turn, builds confidence. My identity as a coach is so much more solid. I wasn't getting the traction I thought I should be having and this program gave me that traction. I'd highly recommend Coaching Business Bootcamp to people who are all in... but are frustrated because they are missing some critical piece of the whole system and aren't getting as much traction as they know is possible. It's legit. Just do it. You can't help as many people with coaching if you don't run a sustainable coaching business. And if you humble yourself and learn what this course teaches, you could help A LOT MORE people. Greg shows you how. You can learn more about Daniel at appliedideals.com.